It can take as little as 20 minutes to loose a shed full of birds. The TempSaver wireless temperature and humidity alarm system, available from Orbit Communications , is the ideal choice to protect the investment. Even though many farmers use sophisticated control systems, human error or system failure can lead to disaster within a short period of time. TempSaver has been designed to help the farmer, have peace of mind that the investment is protected against loss due to temperature or humidity problems. TempSaver is ideal for poultry broilers, growers and similar poultry farming applications where correct temperature and humidity are critical to the success of operation. TempSaver offers 24 hour remote monitoring of all the poultry sheds. Instant notification is given at the house as well as sent to the mobile phone. No matter what time of day or wherever you are, TempSaver will let the farmers know immediately there is a problem they need to attend to. Detailed alert messages let customers know exactly what has happened, which shed is affected and the current temperature or humidity. TempSaver is simple to install and easy to use. There are no long cables to be laid or complicated programming tasks to be done. The system will run straight out-of-the-box. 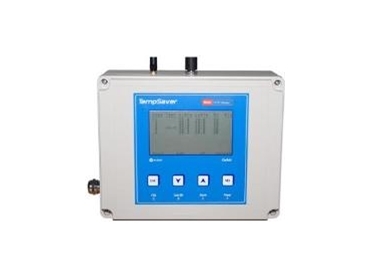 The TempSaver system consists of a Master Control unit and at least 1 Remote Sensor unit. Generally at least one Remote sensor unit is installed in each shed. The system can monitor dozens of remote sensors. Each remote sensor unit has 4 inputs that can each monitor temperature or humidity. The remote sensor units have an internal backup battery to ensure they operate even during a mains power failure. Additional remote sensor units can be added at any time. The trip points for all temperature and humidity inputs can be set at the Master unit. Each remote sensor unit alarm can be enabled or disable at the Master unit. The TempSaver wireless link is continuously monitored. In event of any problem with the radio link or the mains power, an alert message will be sent to the mobile phone. No connection or ongoing fees due as the TempSaver system is free to air. There are no license fees or monitoring fees.